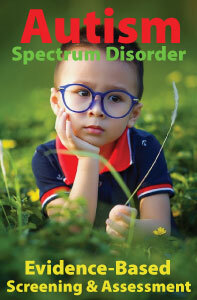 More children and youth are being diagnosed with autism spectrum disorder (ASD) than ever before. Epidemiological research indicates a progressively rising prevalence trend for ASD over the past decade. Autism is much more prevalent than previously thought, especially when viewed as a spectrum condition with varying levels of symptom severity. Surveys focusing on this broader definition of autism indicate that ASD is one of the fastest growing disability categories in the world. 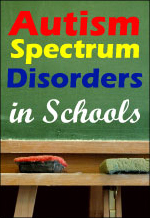 Recent findings of the Centers for Disease Control and Prevention (CDC) Autism and Developmental Disabilities Monitoring Network ADDM (2012) indicate that one in every 88 school-age children in the United States has an autism spectrum disorder (ASD). This represents an estimated increase of 78% in the prevalence of ASD when compared with the data for earlier surveillance years. Autism is now considered the second most serious developmental disability after intellectual disability and more prevalent among children than cancer, diabetes, and Down syndrome. 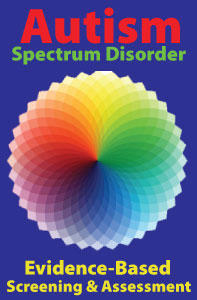 Autism Spectrum Disorder: Evidence-Based Screening and Assessment is a new 3-hour online continuing education (CE/CEU) course that identifies DSM-5 diagnostic changes in the ASD diagnostic criteria, summarizes the empirically-based screening and assessment methodology in ASD, and describes a comprehensive developmental approach for assessing students with ASD. Lee A. Wilkinson, EdD, PhD, NCSP, is an author, applied researcher, and practitioner. He is a nationally certified school psychologist, registered psychologist, chartered scientist, and certified cognitive-behavioral therapist. Dr. Wilkinson is currently a school psychologist in the Florida public school system where he provides diagnostic and consultation services for children with autism spectrum disorders and their families. He is also a university educator and teaches graduate courses in psychological assessment, clinical intervention, and child and adolescent psychopathology. His research and professional writing has focused on behavioral consultation and therapy, and children and adults with Asperger syndrome and high-functioning autism spectrum disorders. He has published numerous journal articles on these topics both in the United States and the United Kingdom. Dr. Wilkinson can be reached at http://bestpracticeautism.com. Health Literacy Month: Use Plain Language! Do you work with children with autism? If so, this newly revised course is for you! 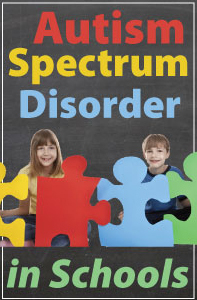 Autism Spectrum Disorder in Schools identifies DSM-5 diagnostic changes in the ASD diagnostic criteria, summarizes the empirically-based screening and assessment methodology in ASD, and describes a comprehensive developmental approach for assessing students with ASD. Professional Development Resources is approved by the American Psychological Association (APA) to sponsor continuing education for psychologists; by the National Board of Certified Counselors (NBCC) to offer home study continuing education for NCCs (Provider #5590); by the Association of Social Work Boards (ASWB Provider #1046, ACE Program); by the National Association of Alcoholism & Drug Abuse Counselors (NAADAC Provider #000279); by the American Occupational Therapy Association (AOTA Provider #3159); by the Commission on Dietetic Registration (CDR Provider #PR001); by the California Board of Behavioral Sciences (#PCE1625); by the Florida Boards of Social Work, Mental Health Counseling and Marriage and Family Therapy (#BAP346), Psychology & School Psychology (#50-1635), Dietetics & Nutrition (#50-1635), and Occupational Therapy Practice (#34); by the Illinois DPR for Social Work (#159-00531); by the Ohio Counselor, Social Worker & MFT Board (#RCST100501); by the South Carolina Board of Professional Counselors & MFTs (#193); and by the Texas Board of Examiners of Marriage & Family Therapists (#114) and State Board of Social Worker Examiners (#5678). ASD in Schools is now ASHA-Approved! This new 3-hour online continuing education course, Autism Spectrum Disorders in Schools: Evidence-Based Screening & Assessment, is now ASHA-approved and available for credit by Speech-Language Pathologists and Audiologists. Lee A. Wilkinson, EdD, PhD, NCSP, is an author, applied researcher, and practitioner. He is a nationally certified school psychologist, registered psychologist, chartered scientist, and certified cognitive-behavioral therapist. Dr. Wilkinson is currently a school psychologist in the Florida public school system where he provides diagnostic and consultation services for children with autism spectrum disorders and their families. He is also a university educator and teaches graduate courses in psychological assessment, clinical intervention, and child and adolescent psychopathology. His research and professional writing has focused on behavioral consultation and therapy, and children and adults with Asperger syndrome and high-functioning autism spectrum disorders. He has published numerous journal articles on these topics both in the United States and the United Kingdom. He is the author of the book “A Best Practice Guide to Assessment and Intervention for Autism and Asperger Syndrome in Schools” published by Jessica Kingsley Publishers. Dr. Wilkinson can be reached at http://bestpracticeautism.blogspot.com/. ASHA credit expires 2/19/2014. ASHA CEUs are awarded by the ASHA CE Registry upon receipt of the quarterly completion report from the ASHA Approved CE Provider. Please note that the date that appears on ASHA transcripts is the last day of the quarter in which the course was completed. The month of April is designated as National Autism Awareness Month and is intended as a time of learning for individuals with autism, their families, and the professionals who care for them. We (Professional Development Resources) have pledged to donate a portion of the proceeds from every autism course sold during the month of April to the Autism Society of America. All seven of our Autism courses are on sale during the month as well.